Was lucky enough to spend a week down in Achill at the foot of Slievemore and took a few walks up this beautiful mountain. I completely fell in love with it and the surrounding landscape. 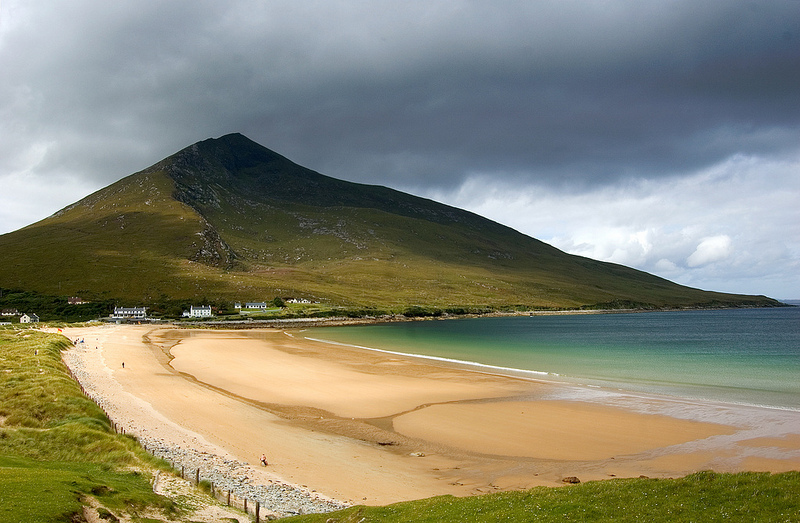 For me, the only place to start the walk is at the far end of Sliver Strand in Dugort so you can enjoy that remarkable view along the strand and up to Slievemore towering over the beach. The route has been described already here and the climb, though steep, isn't overly challenging. Highly recommend dropping down the other side to the Deserted Village.